Not all signage is simple, infact a large majority of our work can be deemed as specialist, including overnight installations, work at height and quick turnaround repairs. 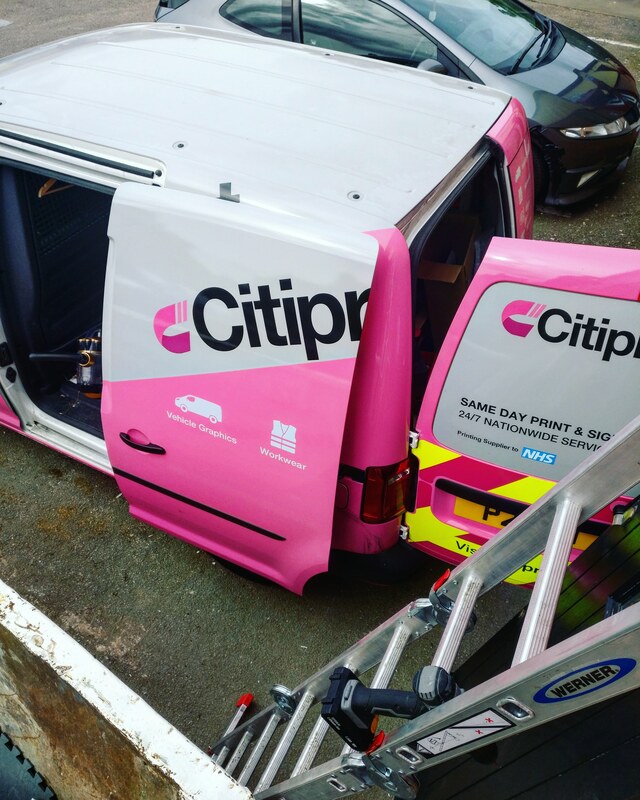 Whilst the core of our business lies in production, our skilled and knowledgable installation team cover all aspects of banner, vinyl, wrap and rigid sign installation across the length and breadth of the UK. Investing heavily in training and equipment means our fleet of liveried vans and team can meet your sign requirements any time of day, every day of the week. 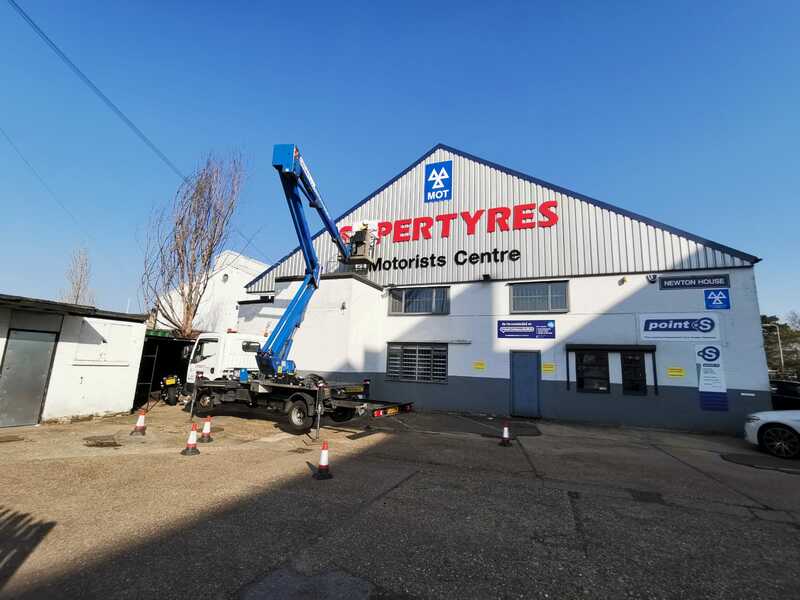 We are fully insured for both signwriting and sign erection including working at heights of up to 10m by use of scaffolding, portable platform or powered access. Our access team are both IPAF and MEWP trained and certified for peace of mind and our extensive, correct use of PPE during an installation will meet your on-site guidelines and safety requirements also. We understand the need to keep disruption to your business to a minimum, that’s why our installation team are available 24/7 for early or late installations including overnight when required. Our in house production facility means a quick turnaround wherever your job may be. 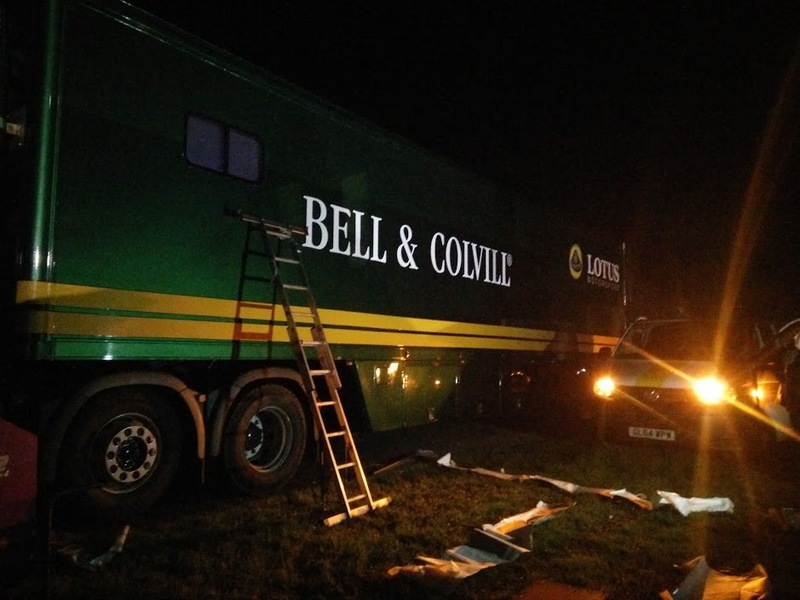 We’ve worked overnight on several large scale and high profile projects including those for Lotus at Goodwood’s Festival of Speed, The Royal British Legion, Amazon and many more. Sometimes a job is more than a case of using ladders, that’s where our experienced height and powered access team excel. 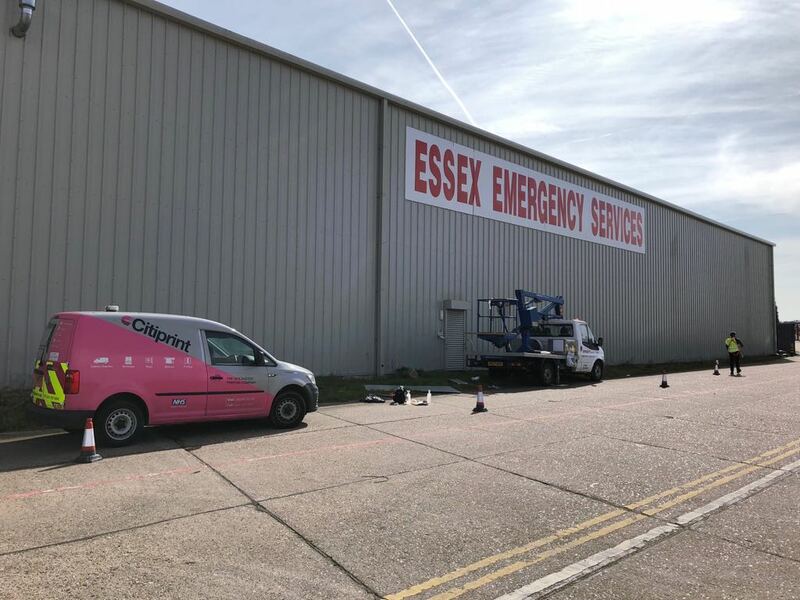 Fully insured for work at up to 10m, we can fit or repair signage and graphics to most warehouses, venues, temporary structures and difficult to reach places. Our close relationship with our preferred platform supplier makes for an unbeatable turnaround when you need it most. Members of this team are both IPAF and MEWP certified for peace of mind. Whilst many signs are built to last, over time, the elements, graffiti and general wear can leave your business looking in need of refreshing. Our on site fast turnaround sign repair service applies to all forms of signage including panels, graphics, hoarding, vehicles and much more. We have recently completed repairs to storm damaged panels, accident damaged fleets and 30 year old graphics. Our skilled in house design team can replicate any existing sign within a day, speeding up the process. Our main sign manufacturing facility is located just outside London – providing strong transport links for Same Day jobs across the country. Our ability to turnaround same day signs including delivery or installation makes us the prime choice for many businesses, retailers and individuals locally and nationally. We have recently worked with Tesco, Audi, Universal Studios and Veolia on last minute jobs.